IndieGala has long been a supporter of cryptocurrencies. 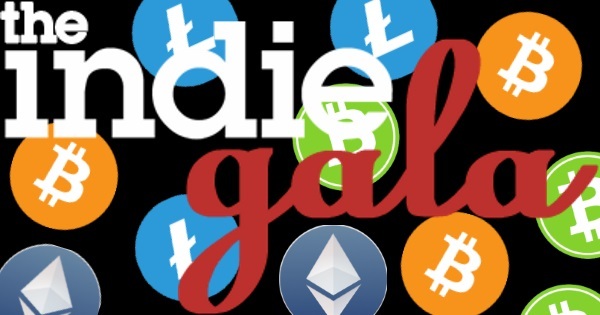 While other popular options like Humble Bundle and Steam have turned off crypto payments, IndieGala has remained steadfast in offering cryptocurrencies as a payment option. If you are in the market for some PC games you may want to check out IndieGala. Not only do they have their typical summer sale running until July 16th (Steam’s sale ends today) they are offering an additional 25% off for customers using cryptocurrencies. A while back a wrote an article detailing the best places to buy PC games using bitcoin. Since that writing, Steam started accepting bitcoin and then removed it. Humble Bundle stopped accepting bitcoin. Green Man Gaming removed Bitcoin payments. Indie Game Stand has shut down completely. Out of the five sites I listed, only Groupees and DailyIndieGame still accept Bitcoin. Unfortunately, both of their selections are limited. One of the sites I suggested readers “bug” to start accepting bitcoin, has been accepting bitcoin for a while. And if I were doing the list today, there is no doubt IndieGala would sit on top of it. IndieGala has an obvious focus on independently developed PC games (indies) but it also has a decent selection of AAA titles. Some of the choice games on sale right now include Dark Souls III (75% off + crypto discount) PlayerUknown’s Battlegrounds (35% off + crypto discount) Dragon Ball Fighters: Z (30% off + crypto discount) and Disgaea 1 & 2 (54% off + crypto discount). They also have a 20% sale, plus the crypto discount on the upcoming Shenmue 1 + 2 HD rereleases if you are a big SEGA fan. IndieGala’s discounts change often so these offers may change. They also currently have eight bundles running and the cryptocurrency discount is active on all of them (assuming you spend more than $1). One of them is focused on VR titles, so if you really want to be futuristic, you can use your magical internet money to purchase immersive virtual reality experiences. Using one emergent technology to buy software for another emergent technology? What is this, the future? Not all major cryptocurrencies are accepted, but IndieGala is offering a few: Bitcoin, Bitcoin Cash, Litecoin and Ethereum. As you might expect considering their selection of cryptocurrencies, IndieGala is using Coinbase as their payment processor. I prefer Coinbase payments to competitor BitPay, because it is easier to use with web wallets outside of BitPay’s. I tested it out by purchasing Ballistic Overkill, an indie online FPS that reviewed well. For my trouble, IndieGala gave me a free random game which ended up being TheLooppy, a $1.99 value. The purchase went through without issue. HODLing is always my recommended investing advice. That said, using your coins to buy something is always preferred to simply selling on the open market. If you use fiat to buy back the cryptocurrency, you won’t contribute to a downwards force on the price. As mentioned, IndieGala’s cryptocurrency sale is going on until July 16th. They have had two cryptocurrency sales previous to this one and since they always accept cryptocurrencies, it isn’t a bad place to look when you want to drop some coins.